Mr. Native Farmer likes to find mushrooms in the woods around our county. We normally find them right here on the farm but sometimes we need to go into the deep woods to get them. Please remember to be responsible when mushrooming and obey any local laws. Now back to the mushrooms. We collect morels, chicken and hen of the woods, bear's tooth or lion's mane, and black and orange chanterelles. Now a note on chanterelles and chicken of the woods, yes both of these mushrooms are BRIGHT orange but there are imposters. Jack-o-lanterns (which glow in the dark) look oddly like a chicken mushroom and a chanterelle. It is DEADLY, you need to know what you are looking for when mushrooming. Now there are false chanterelles and while they are not deadly they do cause tummy upset if eaten it larger quantities. 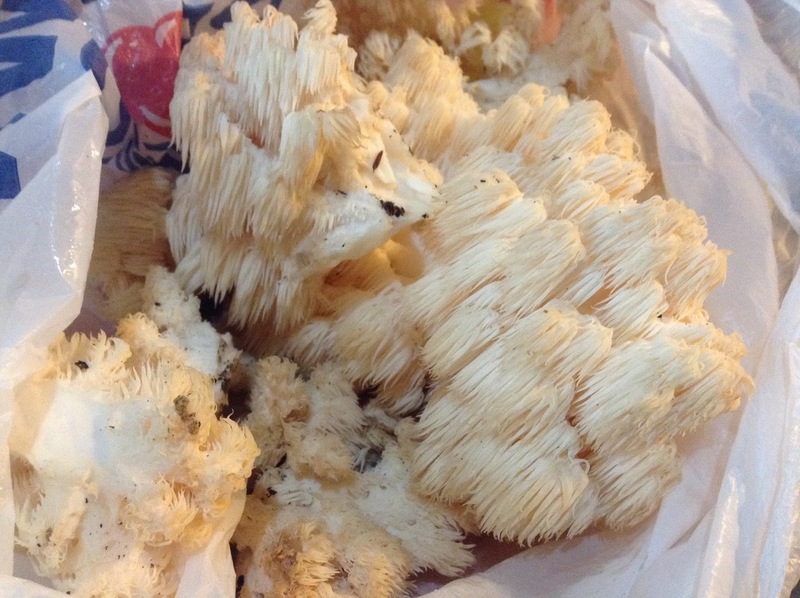 The difference is subtle if you don't know what you are looking for in mushrooms. There are false morels as well, again they can cause death if eaten in large quantities. So that warning aside, we mushroom a lot and we know what we are looking for and if we are not sure we don't eat it. Well, I should say the husband doesn't eat it. I can't eat wild mushrooms or deer meat for that matter. Something just doesn't agree with me. Now I do cook them. 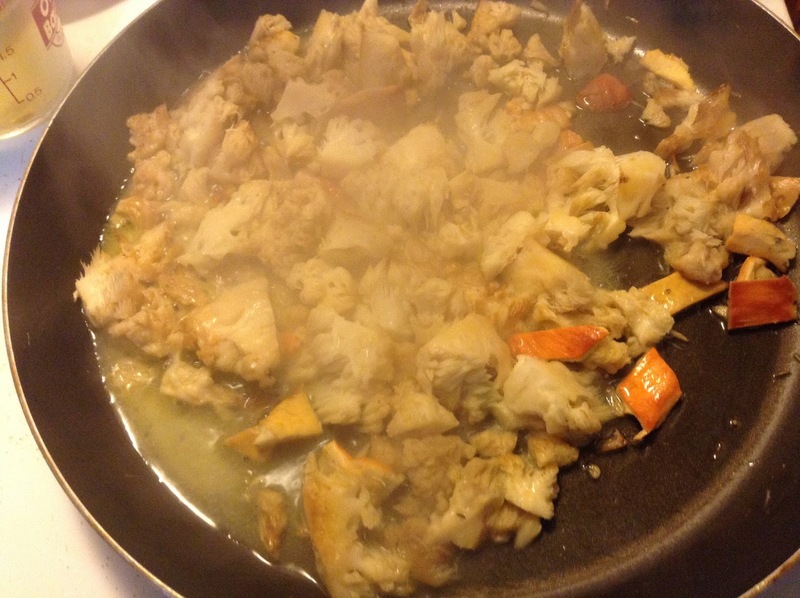 I tend to sauté them in butter with a little bit of salt (it pulls out the moisture). 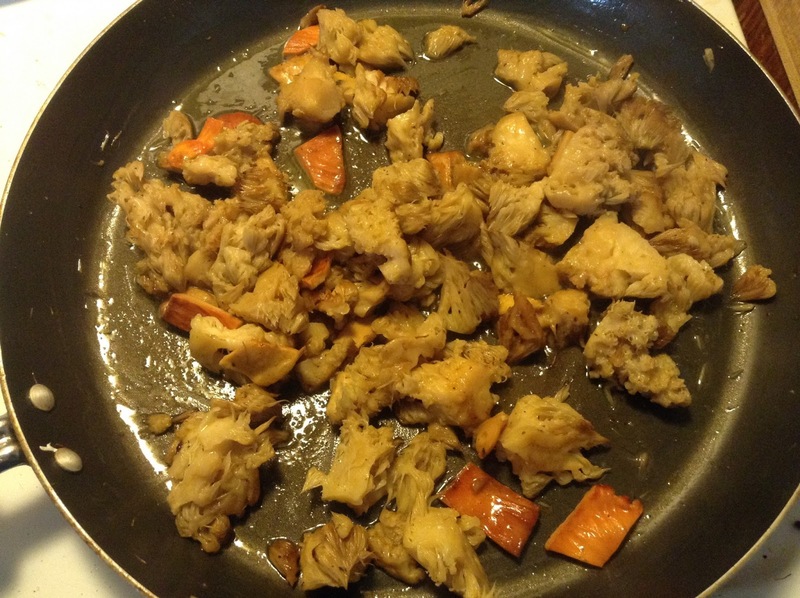 With wild mushrooms its critical to cook them thoroughly. With chicken of the woods I add chicken boullion cubes. They are delicious that way. 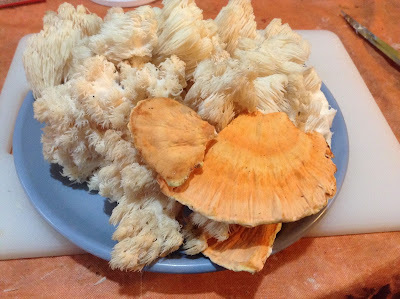 So the other day my husband brought home lion's mane (bear's tooth is a bit more tubular) and a few chicken of the woods. You want bright colors and very little insect problems. Larger chicken of the woods can be riddled with beetles. If you get a huge clod of it, put it in the refrigerator in a closed paper bag for a few hours, it doesn't kill the beetles but it slows their little butts down. This is how I was presented with the mushrooms. It is always a surprise when he comes home with mushrooms so I always have to think fast. Here is the mushrooms out of the bag and prepared. The lion's mane is easy. It is attached midway up a tree so it rarely has dirt or debris. 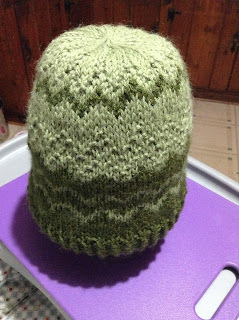 The chicken is also attached to a tree but a little lower so I just cut off the backs and it is mostly clean from there. I put all the mushrooms in a pan and put it on medium heat. You don't want it too high at first or the mushrooms will burn before they release their water. I put salt on them to help the issue go a bit faster. When they start to release their water I put in the butter and turn the heat up to medium high. I sauté them down until they no longer release water. This is really hard to get right. You just have to do it and each batch is different. 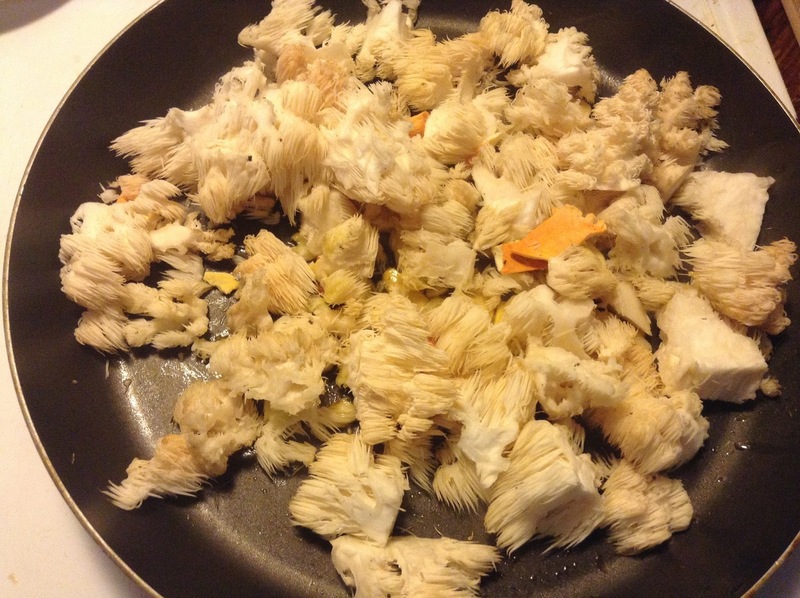 Mushrooms go from stiff to rubbery to stiff when completely cooked. The water they give off is replaced by the butter (and chicken bouillon if making chicken of the woods) so the mushrooms absorb that loveliness. It isn't that hard to cook wild mushrooms, generally the hardest part is harvesting the RIGHT mushrooms for the job. Again if you ever in doubt it isn't worth the trip to the emergency room.